My passion is earning trust, developing a comfortable plan and creating a beautiful piece of living art. That is the heart and soul of my practice! Hello! I’m Dr. Tracy Boldry and I’m a Board Certified Specialist in areas of fixed and removable custom dentures and full-mouth rehabilitation. I have advanced, extensive training in implant supported dentures and partials which means when you eat and chew, your replacement teeth won’t slip and move around so you can be more self-confident. I also provide a full spectrum of family dentistry for adults and children as well as sedation dentistry. 1984 – Clarion University of Pennsylvania: Bachelor of Science Degree in Biology, Minor in Fine Arts and Fulfilled a Collegiate Gymnastic Scholarship. 1989 – University of Pittsburg Pennsylvania School of Dental Medicine: Doctorate of Medical Dentistry. Top 1/3 in her graduating class and received the “Award for Clinical Competence”. 1991– University of Missouri-Kansas City School of Dentistry, Specialty Prosthodontic Residency Program: Prosthodontic Degree and Board Certification. 1992– Fellow for Maxillofacial Prosthetics: Provided care and training for patients needing custom facial and ocular prosthetics in addition to prosthetic cleft palate management and post oral cancer care. 1990-92: Completed a 3 year Master of Science Research Project in Oral Biology. Dr. Boldry is one of 300 dentists world wide, selected to be a product evaluator for the Clinicians Report Foundation; a not-for-profit dental scientific research group that tests the newest dental materials, techniques and equipment for publication in the Clinicians Report Monthly Newsletter. Dr. Boldry attends countless hours of continuing education and monthly study club meetings to keep current on the latest trends dentistry and what benefits they can offer her patients. Locally Dr. Boldry donates her services through Dental Lifeline Network of Kansas, Give Back a Smile and has participated multiple years in our Dentistry from the Heart event. Globally Dr. Boldry has pioneered a dental mission clinic in Eastern India. Since 2009 Dr. Boldry selects and travels with small teams to provide preventative care and fluoride treatments to the 200 children in New Life Children’s Home and School. 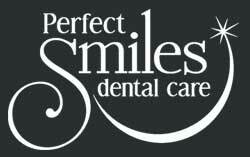 Dr. Boldry has been an integral part of the Perfect Smiles Dental Care family since 1996. Dr. Boldry grew up in Pennsylvania and developed her interest in the Fine Arts, gymnastics and there established her affinity of the outdoors. She moved to Kansas to continue her education and fell in love with the area. She married and stayed in Kansas to establish her professional career. Dr. Boldry is not the only doctor in her family; she is happily married to Thomas who is a Podiatrist with several locations in the metropolitan area. They currently reside in Shawnee with their son Jacob and have raised two wonderful daughters Hannah and Claire. 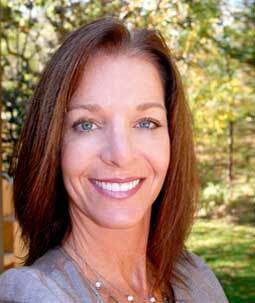 Dr. Boldry loves to decorate their home and being multi-talented, she does the work herself. From painting to wall papering it’s all her…even after suffering a broken wrist for her art, she is still going strong making their home a warm and welcoming environment for their family and friends! She also enjoys making stained glass, painting and a variety of arts and crafts. Dr. Boldry loves horses and loves to ride but, was never a cat lover. However, she was converted when her daughter begged to rescue a shelter cat, Sage. Sage moved into their home and that warm and loving soft-bodied animal won her over heart and soul. Bozwell is the canine member of the family; he is a Goldendoodle, adorable and rambunctious. Bozwell and Sage bring the unconditional love of animals into their lives. Their family loves the outdoors and they take every opportunity to RV and enjoy all the beauty our great land has to offer. Dr. Boldry’s sincere and gentle approach to patient care provides patients with a safe and confident environment to explore their dental health.